I always knew having a baby would be difficult, but I always thought that it would be the delivery that would prove to be the most difficult aspect. After experiencing an unmedicated delivery that turned out to be much easier than I would have expected, and then facing the challenges of being the mother of a newborn (which I had expected would be easy due to my training as a NICU nurse), I have come to the realization that caring for a baby is the most difficult aspect of bringing life into the world. Why the discrepancy between the physical part that I thought would be difficult and the caring part, which I felt certain would be the easy part? I can say with certainty that the ease of my pregnancy and delivery experience can be attributed to that fact that I did CrossFit before and all throughout my pregnancy Before pregnancy I had been doing CrossFit for approximately a year and a half, so I would consider myself an intermediate athlete. I knew what I was doing, but also what my limitations were. I competed in the Beachside Beatdown last year, and shortly afterward found out I was pregnant (on an exciting side note, doing the competition, even though intense, did not in any way interfere with me getting pregnant, which was initially a concern of mine. It was nice to find out I was wrong!) I shared my exciting news with my coach in the early weeks and he immediately made the needed modifications to accommodate my growing belly while following doctor’s guidelines. When I first became pregnant I was fearful that any working out would harm my developing baby. According to the American College of Obstetrics and Gynecologists, exercise is safe during pregnancy as long as there are no contraindications such as high blood pressure, anemia, cervical insufficiency, etc. Furthermore, exercise is recommended during pregnancy to relieve back pain, reduce the risk of gestational diabetes, reduce weight gain and more! Having a good CrossFit coach is key! My coach worked with me every day I attended class and made modifications based on how I was feeling and what my body needed. I actually worked out the day before I delivered, and, as it turns out, I was actually already (unknown to me) in labor at that time. I spent the next 24 hours thinking what would soon turn out to be my daughter was a set of bad gas pains…I guess if you want objective proof that CrossFit improves your threshold for discomfort, that would be it!During delivery the foundations of CrossFit came into play because I treated each contraction like I do any WOD. I knew they would only last a short period of time before I would get a rest. I could hear my Coach in my head talking about how CrossFit is measurable, observable and has repeatable results and I remembered why I worked so hard during pregnancy: to have a delivery I could tolerate. 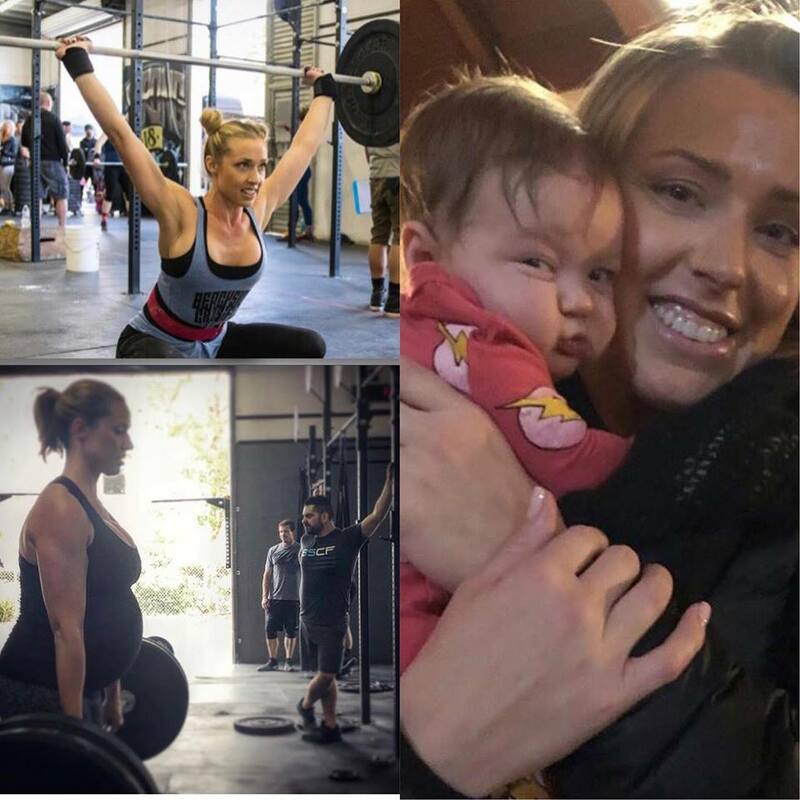 While neither pregnancy nor delivery is easy, CrossFit (and a good coach) is something that can give you the foundations for success while teaching you to push through the pain to achieve something you never thought you could.